Aston Secure Desktop supplies administrative control of your computer. With the help of Aston SD administrator can deny user access to the control panel, screen properties, lock local, network or removable disks, prohibit registry editing, applications installing-uninstalling and enjoy other administrative functions. This restricted version is highly recommended to Internet-cafes and kiosks administrators, colleges and companies' authorities and parents willing to find their Desktop settings unaltered after their kids' incursions. This is also a perfect way out in other situations when users' ability to customize their working area needs to be limited. 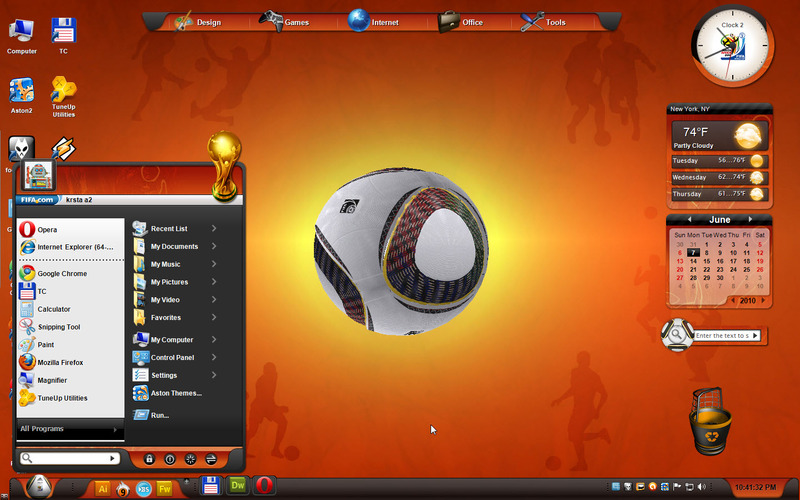 Time-limited 30-day trial versions of Aston, free 3D themes and live wallpaper can be downloaded from official site.